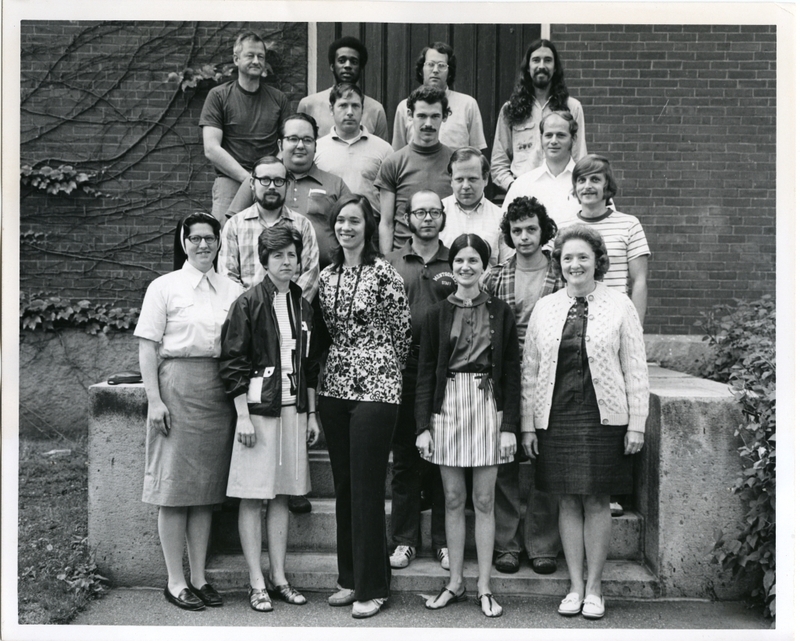 Group photograph of National Science Foundation Summer Institute in Mathematics held at Bowdoin College - sophomores. Back row: Greenler, Newton, Woolcock, Van Horn; next to last row: Miller, Crossett, Simonds; third row from front: Drayer, Kestler, Makynen; second row from front: Wright, Canik, Cuoco; front row: Lennon, Terrell, Scott, Welsh, Greenler. Missing: Kelly.